Graham Fuller delivered a nuanced, engaging and comprehensive talk on Turkey in the Middle East. You may also wish to look at his timely OPED in the International Herald Tribune on April 15, 2006. 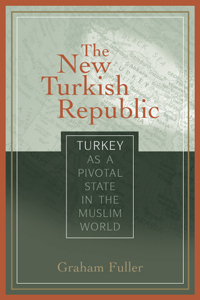 Graham E. Fuller is currently an independent writer, analyst, lecturer and consultant on Muslim World affairs and Adjunct Professor of History at Simon Fraser University in Vancouver. He received his BA and MA at Harvard University in Russian and Middle Eastern studies. He served 20 years in the Foreign Service, mostly the Muslim World, working in Germany, Turkey, Lebanon, Saudi Arabia, North Yemen, Afghanistan, and Hong Kong. In 1982 he was appointed the National Intelligence Officer for Near East and South Asia at CIA, and in 1986 Vice-Chairman of the National Intelligence Council at CIA, with overall responsibility for all national level strategic forecasting. The Future of Political Islam , (Palgrave, May 2003). Foreign Affairs : “Moscow and the Gulf War,” Summer 1991; “The Fate of the Kurds,” Spring 1993; “Persian Gulf Myths,” May 1997, “Russia’s Ruinous Chechen War,” Foreign Affairs, March-April 2000;and "The Future of Political Islam," March 2002. Foreign Policy : "The Next Ideology," 1994. Many other articles appeared in Orbis, Current History, Middle East Insight, The Middle East Journal, Mediterranean Quarterly,. Mr. Fuller is a regular op-ed contributor to The New York Times, Washington Post, Los Angeles Times, and Christian Science Monitor. He has appeared frequently on ABC’s “Nightline,” ABC Evening News, CNN, PBS Newshour with Jim Lehrer, and Fox Television News; and comments regularly for BBC radio, Voice of America and other news stations. 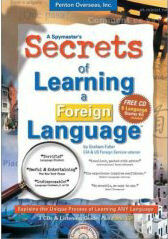 He has an extensive knowledge of foreign languages including Russian, Turkish, Arabic, and Chinese, and is the author of the popular book How to Learn a Foreign Language. 2006 was the tenth anniversary of the lecture.